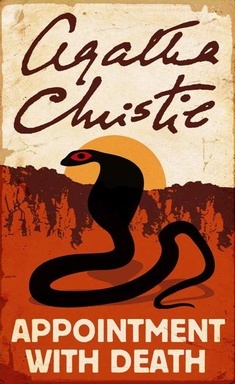 We see remarkably little of Poirot at first in this novel, with the exception being when he overhears the words, “you do see, don’t you, she’s got to be killed?” through the walls of his hotel room. To many, this could be throwaway statement, to Hercule Poirot, even when he’s on a holiday, the alarm bells ring. As the action moves from the hotel in Jerusalem to a camp at Petra, so to does the cast of characters, whose lives seem to be becoming increasingly intertwined. It is here that the elder Mrs Boynton meets her demise. Christie weaves a plot that results in everyone, from family members, through to the servants on the camp in Petra, all being implicated in the murder of the Mrs Boynton. The local British Administrator – the region was known as the British Mandate for Palestine at the time – calls upon Hercule Poirot to assist, not in finding a case to bring to court, but simply to find out the truth. This Poirot does impeccably, in his own distinct style, and needless to say the culprit is not who I expected them to be. Agatha Christie, having travelled to the Middle East along with her husband in the 1930s, seems to have used all of her skills in not just creating a great storyline, but also in embedding this within the setting of British Palestine. You feel at once that you are reading a splendid novel, whilst learning about a very specific time period.